Fascia is a protective encasement of white, closely packed collagen fibers that wrap and divide organs, blood vessels, nerves, bones, and muscles. It is expansive and affects your whole body, although its function is subtle. Often, someone with fascia injuries does everything possible—icing and stretching—but still experiences pain. If you suffer fascia injuries due to work, you should retain an experienced Boston workers' compensation attorney. Sometimes it may be complicated to recover benefits for these types of injuries. When fascia is intact, it binds together muscles, assures proper alignment for sending forces evenly through a muscle, lubricates various surfaces, and permits muscles to alter shape with movement. However, if it is stretched too much, it may suffer microscopic tears that will not show up on an x-ray. Sometimes they may appear on an MRI. Tears may be caused by any sort of repetitive trauma that affects or overuses the muscles, as well as a direct injury, such as in heavy repetitive lifting, but in some cases, people do not know how they sustained fascia injuries. The fascia has a reduced blood supply as well as a high number of nerve endings, which means that it heals more slowly and may be very painful for a long period of time. Over time, the fascia and muscles get less flexible, and older people are more susceptible to this type of injury. If you suffer a fascia injury, you may not immediately identify what the problem is, and you may not realize that it may be a result of your work. Once you become reasonably aware that the injury may be work-related, you should report the connection to your employer. In Massachusetts, you must file your claim within four years of the date that you realize that there is a causal link between your disability and your employment, or you will be barred from bringing a claim. You may not get workers' compensation benefits for an injury that happened before you started work for your current employer or while you were not working. As a result, some insurers will deny a valid claim on the ground that an injury is a pre-existing condition. You should not assume that a denial is legitimate. If you suffer an injury on the job, and it combines with your pre-existing fascia injury or exacerbates your fascia injury, you may still be entitled to benefits. The critical inquiry is whether the workplace portion of the resulting fascia injury is a major cause of disability. It need not be the predominant cause of your need for treatment to be compensable. In other words, the workplace injury does not need to be more than 50% of the reason that you need benefits for you to get the wide range of benefits available through the workers' compensation system. However, the insurer will be looking for reasons outside work that you suffered the injury and will comb through your medical history. It is important to retain an attorney of your own to protect your interests throughout this process. 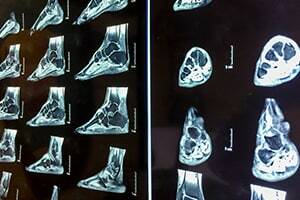 Many people do not realize how serious and painful a fascia injury, such as plantar fasciitis, may be. At Pulgini & Norton, our experienced Boston attorneys can advise you on workers' compensation claims arising out of fascia injuries as well as many other medical conditions. We also handle claims in Newton, Somerville, and Waltham, among other Massachusetts cities. For a consultation with a workplace accident lawyer, contact us online or call us at 781-843-2200.